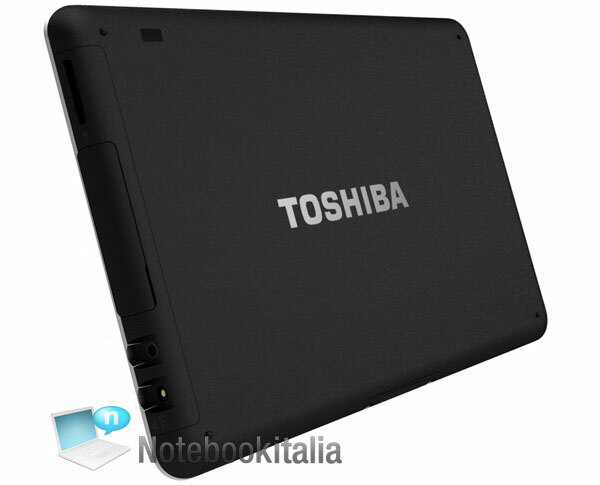 The rumored Toshiba Folio 100 Android tablet (a.k.a. Toshiba SmartPad) that first showed up this Monday just surfaced once again. And this time there is the full specs sheet coming along with the leaked images. 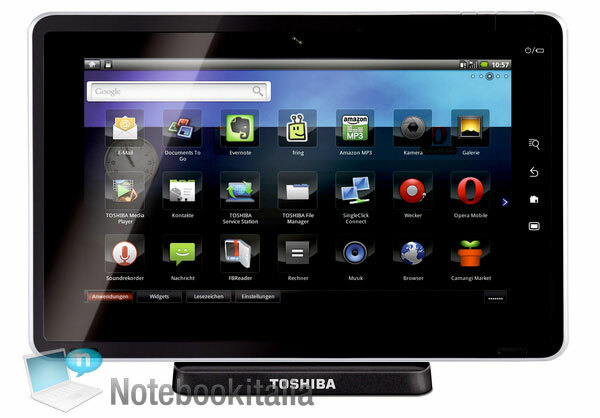 After the Toshiba AC100 smartbook it was about time that we saw an Android-powered Toshiba tablet as well. The Toshiba tablet line will obviously be called Folio (as opposed to the previously rumored name, SmartPad. The first tablet to come, the Folio 100, will be based on the NVIDIA Tegra 2 platform, which should allow it to munch HD videos for breakfast. Unlike the 7-inch Samsung Galaxy Tab, the Folio 100 should feature a 10.1-inch multi-touch-capable capacitive touchscreen of WSVGA resolution (1024 x 600 pixels). The tablet will run the Android 2.2 (a.k.a. Froyo) and under the hood there should also be built-in stereo speakers, mic and a front-facing camera, 16GB of storage (expandable through a microSDHC card slot) and a Flash-capable web browser. The rest of the features include 3G, 802.11n Wi-Fi and Bluetooth plus a HDMI-, USB- and miniUSB-port dock. Sadly, there is still no word on the Toshiba Folio 100 availability and expected pricing but I hope this year’s IFA (which will hit it off next week, starting 3 September) to shed some more light on the unanswered questions concerning the Folio 100 and rest of the upcoming tablets.